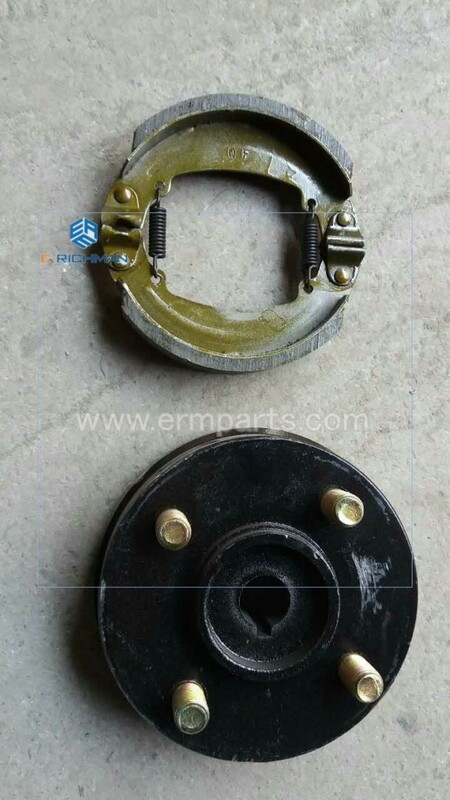 This parts is called, brake shoe and brake drum. Different model e rickshaw is using different size. Normally 130mm size, 160mm size, 180mm size. The bigger, the better. Using better brake shoes and brake drum can ensure the driver’s safety very well. 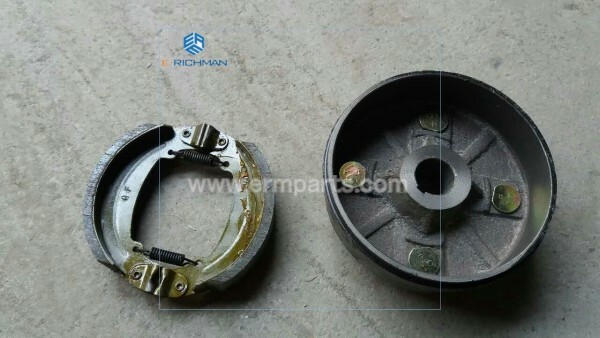 Beijing ERichman Technology CO., LTD is Professional E rickshaw spare parts supplier, we know which kind of parts is better. We cooperate with Qiangsheng Electric Tricycle Factory, which designing and producing electric rickshaw for 11 years. You can check the glue on the brake shoes. better glue is much better. You can check the color of the brake shoes, dark color is better than white color.